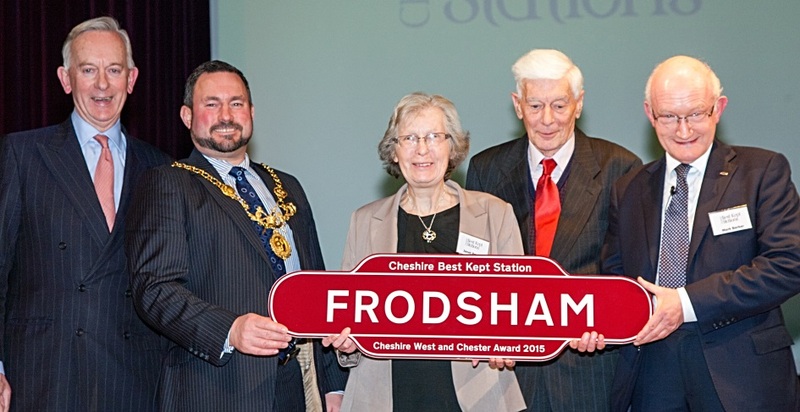 NCRUG had a major success at the "Cheshire Best Kept Station Awards" on Tuesday 12th January 2016 when Helsby, Frodsham and Runcorn East all claimed an appropriate award at this prestigious event held at the Grange Theatre, Northwich. The Awards are supported by the Railway Operators, Network Rail, civic representatives and industry stakeholders across Cheshire. 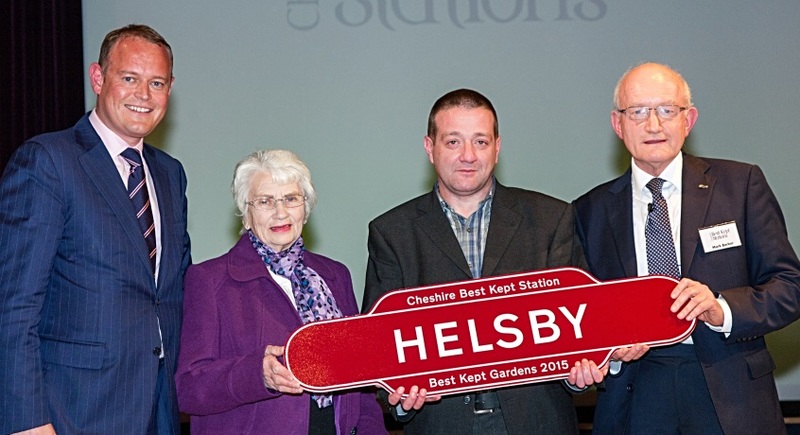 Helsby won the Best Kept Gardens Award, Frodsham the Cheshire West and Chester Award and Runcorn East won the Halton Award. In addition, the instigator of the event "John Hulme" received his own personal award to the acclaim of all those present - John is pictured at the centre of the Group Photo. This was in recognition of his tireless work over the previous 12 years in creating this unique event, and developing it over time - this named him as "The Visionary" of the "Cheshire Best Kept Station" community project.